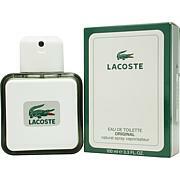 Lacoste Elegance Eau De Toilette Spray - 1.7 oz. 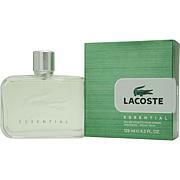 Lacoste Essential Eau De Toilette Spray - 4.2 oz. 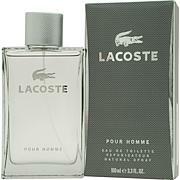 Lacoste Pour Homme Eau De Toilette Spray - 3.4 oz. 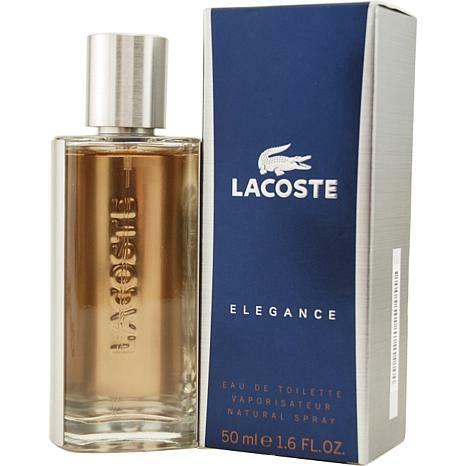 Launched by the design house of Lacoste in 2007, Lacoste Elegance EDT Spray 1.6 oz is a mens fragrance that possesses a blend of Spices, Mandarin orange, Dark chocolate, Caraway Lacoste Elegance is recommended for casual use. This item may not ship to Alaska, Guam, Hawaii, Puerto Rico, or the Virgin Islands using a ground shipping method. Please select an air method when ordering this item for those locations. All Orders must also have a physical address and not a P.O. Box. Burberry The Beat by Burberry - EDT Men's Spray 1.7 oz. Eau De Lacoste L.12.12 Rouge by Lacoste for Men 3.4 oz. Launched by the design house of Lacoste in 2012, Lacoste Eau De Lacoste L.12.12 Rouge Energetic EDT Spray 3.3 oz is a mens fragrance that possesses a blend of Rooibos Tea, Mandarin Orange, Mango, Pepper, Cardamom, And Woodsy Notes. 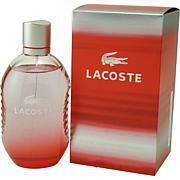 Lacoste Eau De Lacoste L.12.12 Rouge is recommended for casual use.